This week's financial comic is a teaser for the upcoming IOS Investing.com app. It's also a bit of an Investing.com comic greatest hits. I was asked by the team to parody the Oscars selfie (with Bradley Cooper, Ellen, etc. 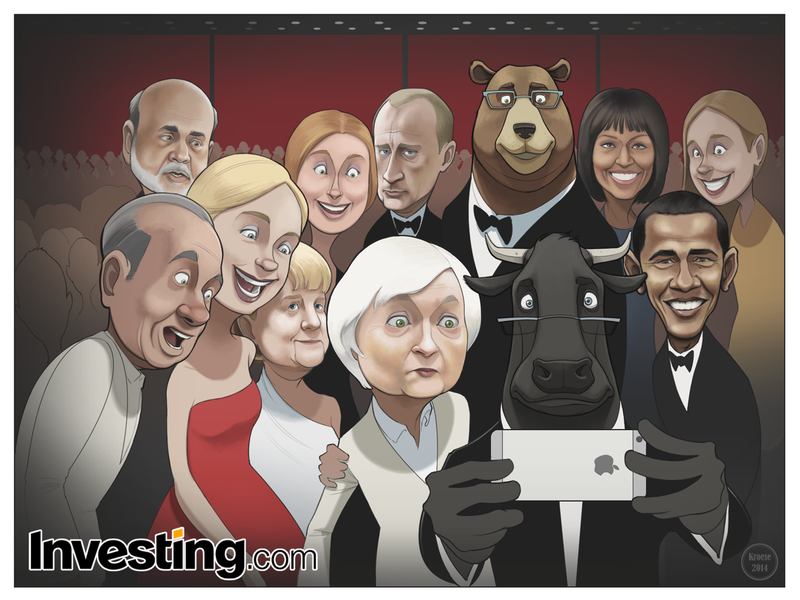 ), but to substitute the celebrities with various characters used in the financial comics.